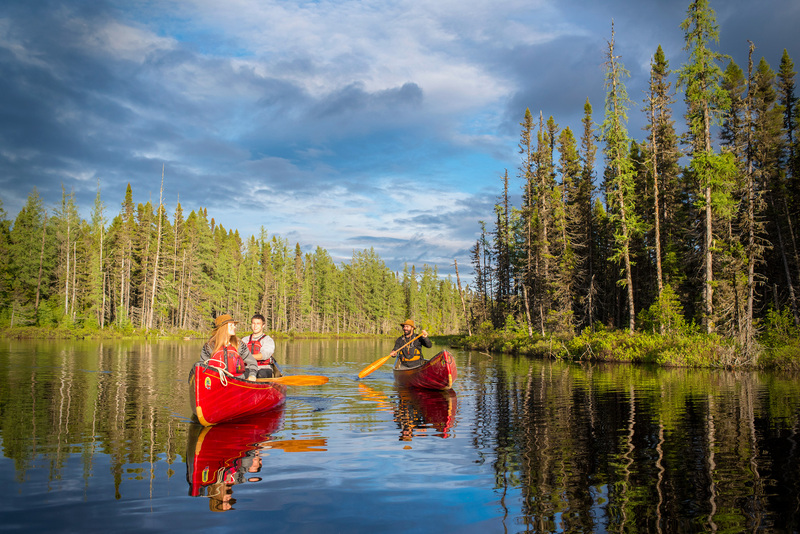 A natural treasure of spectacular landscapes and wildlife, New Brunswick’s Restigouche County is a must for any true adventurer. Nestled at the heart of the Appalachian Mountains, the Restigouche River and it’s main five branches - the rivers Gounamitz, Upsalquitch, Patapedia, Little Main and Kedgwick - run through a territory which offers the most breathtaking millennial scenery you have ever seen. In the middle of this natural paradise lies Kedgwick, a rural community founded on historical Micmac territory, a nation belonging to the Algonquin tribe. Forestry workers and their families arrived in the 20th century. The numerous rivers, brimming over with salmon, allowed the lumberjacks to log drive the Acadian Forest’s lumber to the sawmills during the spring breakup period. Rivers rapidly became essential to the settlers’ lives for transportation and livelihood. Their way of life would soon attract rich and curious townspeople who were in search of green spaces and lush rivers. To this day, the forest industry still plays a major part in Restigouche County’s economy, and event though log driving has been replaced by ecotourism businesses (canoe and kayak rental, camping, etc.) and salmon fishing rights are mainly held by fishing camps, the region’s rivers are as popular as ever. Although times have changed, these riverfront territories stay the course: they remain a peaceful haven surrounded by wildlife, where you can retrace the steps of the first explorers and understand the true meaning of the word “nature”.